We’d love your help. Let us know what’s wrong with this preview of In Pursuit of the Past by Lewis Roberts Binford. To ask other readers questions about In Pursuit of the Past, please sign up. Although some case studies are presented, this comes across as 'my life as a manifesto' as much as anything else. Binford eulogises himself as a heroic figure struggling to convert the arts and humanities legions of archaeologists to the new doctrine of archaeology as science. Binford was an important figure in the discipline but here comes across as one arrogant enough to think that he was more important than he was: that, in the words of Jose Mourinho, he was "the special one." 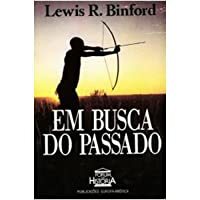 Lewis Roberts Binford (November 21, 1931 – April 11, 2011) was an American archaeologist known for his influential work in archaeological theory, ethnoarchaeology and the Paleolithic period. He is widely considered among the most influential archaeologists of the later 20th century, and is credited with fundamentally changing the field with the introduction of processual archaeology (or the "New A Lewis Roberts Binford (November 21, 1931 – April 11, 2011) was an American archaeologist known for his influential work in archaeological theory, ethnoarchaeology and the Paleolithic period. He is widely considered among the most influential archaeologists of the later 20th century, and is credited with fundamentally changing the field with the introduction of processual archaeology (or the "New Archaeology") in the 1960s. 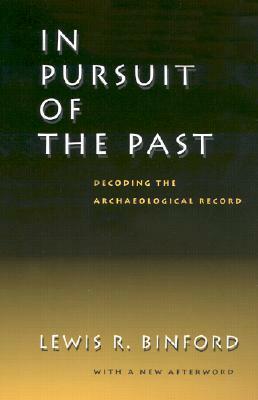 Binford's influence was controversial, however, and most theoretical work in archaeology in the late 1980s and 1990s was explicitly construed as either a reaction to or in support of the processual paradigm. Recent appraisals have judged that his approach owed more to prior work in the 1940s and 50s than suggested by Binford's strong criticism of his predecessors.